As everyone knows, pets age faster than humans. After their first year of life, cats and dogs age approximately 6 to 8 years for each of our years (their first year is like 18 of ours!). Therefore having a veterinary exam done on your pet every six months is like having an exam every 3 to 4 years. A lot can change in this amount of time. Also, our pets are very good at hiding illness. This is a protective instinct they are born with. In the "wild" the animal that appears weak or sick is more likely to be preyed upon. It is therefore to their advantage to hide their illness as long as possible. At the conclusion of every exam you will receive a REPORT CARD outlining the findings on physical exam. You will also be given written instructions on all recommendations and any medications to be administered. Having your pets examined every 6 months is the most important health benefit you can give them. The level of care your pet receives is of course, always up to you. 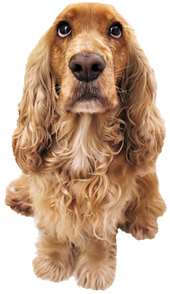 Our recommendations are based upon what we consider to be the best care possible for your pet.